As a deputy of the Conseil de Cinq Cent, or Council of Five Hundred, Jean Baptiste Jourdan proposes a law for compulsory military service. It will be trimmed a bit and then adopted on September 5, 1798, as the Jourdan-Delbrel Law. Abolition of the Papal government. In its stead, the French declare the Roman Republic. 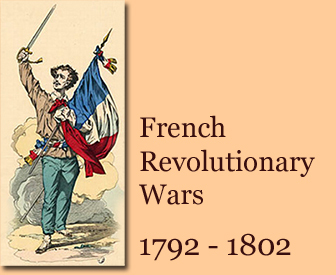 French troops had entered the city on February 10, 1798. They will stay in Rome until 1799, with a short break from November 29 to December 15, 1798. The Congress of Rastadt acknowledges the Rhine River as the boundary of the French Republic. The Directory gives Bonaparte permission to carry out his Egyptian expedition. The French take Bern (Berne) in Switzerland. Creation of the Army of Helvetia (Armée d'Helvétie). Commander: Guillaume Marie-Anne Brune. Schawenbourg is the new commander of the Army of Helvetia. His post is temporary. The French arrest Pope Pius VI and take him to France. He won't return. The Helvetic Republic is established. Bonaparte arrives at Toulon to take command of his Egyptian expedition. Bonaparte preps his troops for Egypt. Here you can read what he said. Coup d'état of 22 Floréal, year VI. The Directory invalidates half of all elections by declaring elections in 29 departments null and void, to eliminate the Jacobins. Bonaparte's Egyptian expedition sets sail and leaves Toulon. The Egyptian Campaign has begun. Meanwhile on May 19, 1798, at Vienna: Austria and Naples sign a treaty of alliance. The Irish Rebellion breaks out. It will end on September 8, 1798. On his way to Egypt, Bonaparte makes a pit stop and takes Malta, home of the Hospitallers, aka the Knights of Malta. This will outrage Russia's Paul I, and will serve him as one of the reasons to join the Second Coalition against France. U.S. President Adams is disgusted by the XYZ Affair and states that he will "never send another minister to France without assurances that he will be received, respected, and honored as the representative of a great, free, powerful, and independent nation." The French land in Egypt and take Alexandria. 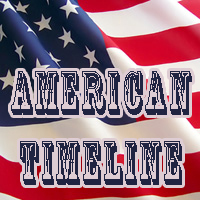 Provoked by the XYZ Affair, the United States repeal their 1778 Treaty of Alliance with France. Diplomatic relations will be patched up on September 30, 1800. In the meantime, the two nations will fight an undeclared war at sea, also called the Quasi-War. The French decree to implement their republican calendar in the four conquered départements of the Rhineland. These lands will switch back to the Gregorian Calendar on January 1, 1806. Battle of the Pyramids. French victory. This battle is part of Napoleon's Egyptian Campaign. Battle of the Nile. The British, led by Admiral Horatio Nelson, book a victory over the French at Aboukir Bay (Abu Qir Bay). This battle is part of the Egyptian Campaign. Unofficially, by losing this battle, the French have lost their Egyptian Campaign. Napoleon manages to get his hide out of Egypt. The Jourdan-Delbrel Law makes military conscription permanently mandatory for all French men between 20 and 25 years of age. The Irish Rebellion ends. It had begun on May 23, 1798. The Ottoman Empire, headed by Sultan Selim III, declares war on France. 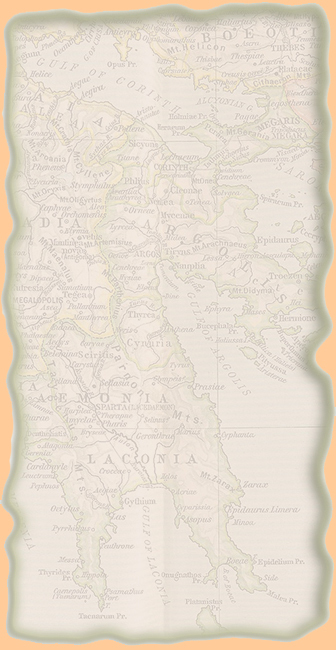 Subsequently, Russia and the Ottoman Empire expel French garrisons from the Ionian islands. The British take Menorca (Minorca) from Spain, after Spain had dropped out of the First Coalition in August 1796. The island of Menorca will be returned to Spain in 1802. Jourdan is the new commander of the Army of Mayence (Mainz). The Army of Helvetia is transferred under the supreme command of Jourdan, currently commander of the Army of Mayence (Mainz). The War of the Second Coalition begins. Treaty of alliance between Russia and the Two Sicilies signed at Saint Petersburg. The army of Naples, led by Karl Mack, invades Rome where the French had installed their Roman Republic. Britain and the the Two Sicilies sign a treaty of alliance at Naples. Battle of Civita Castellana between the French, led by General Jacques Macdonald, and the Neapolitans. France wins this battle. Capture of the British frigate HMS Ambuscade by the French corvette La Bayonnaise. The French return to Rome. The Neapolitans get out in a hurry and the French give chase. Russia and the Ottoman Empire sign a treaty of alliance at Constantinople. Russia and Portugal sign a treaty of alliance. "to oppose the successes of the French arms, and the extension of the principles of anarchy, and to bring about a solid peace, together with the re-establishment of the balance of Europe, have judged it worthy their most serious consideration and earnest solicitude to endeavor, if possible, to reduce France within its former limits, as they subsisted before the revolution."